It is my birthday tomorrow, so I decided to take the entire week off from work. During this week, I want take a moment to relax and not feel so rushed from the daily stresses that life brings. With this extra time on my hands, I decided to follow the advice from Food Babe (and many others!) about drinking warm lemon water with cayenne pepper first thing in the morning. When drinking this concoction on an empty stomach, it stimulates and detoxifies the liver. The liver will release uric acid and create bile to eliminate safely the environmental and lifestyle toxins that often stay trapped in the digestive system longer. Following rituals like this can keep the liver and digestive system clean and in tip-top condition. It will help prevent diseases like cancer later in life. When adding in cayenne pepper with the lemon, this increases the detoxing effect and increases the body temperature, which also increases your metabolism. By drinking this each morning, it will cleanse the body safely and naturally. Boil 4 ounces of water in a pot on a stovetop or kettle. Set the rest of the water aside. After the water boils, pour it into a cup with 8 ounces of room temperature water. Cut a lemon in half and squeeze it into the water. Mix in 1/8 tsp of cayenne pepper. 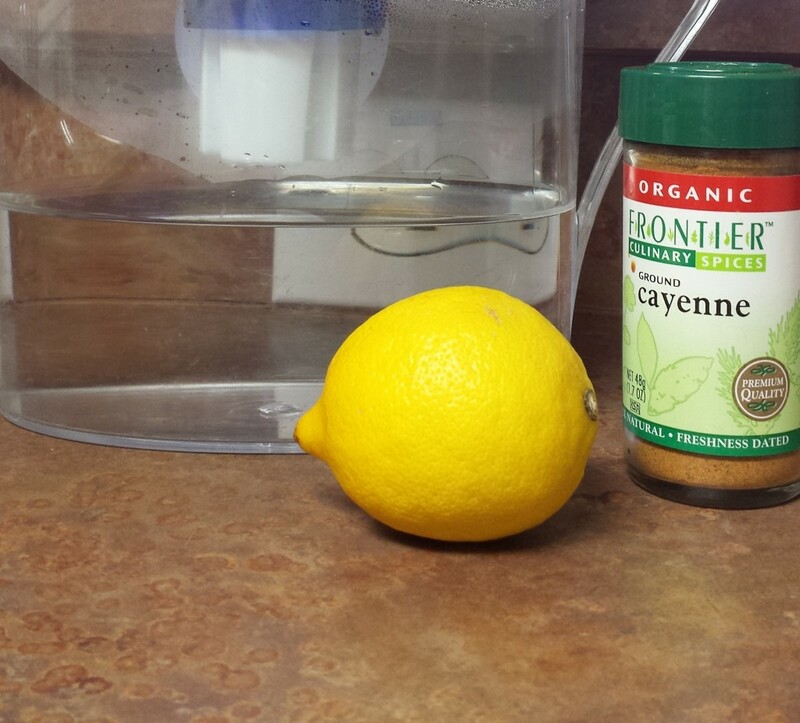 Stir the water, lemon and cayenne together. You can save the other half of the lemon for tomorrow. Then wait about 20 minutes before eating breakfast.